If Venus is in the first house (ascendant) the native will be proficient in mathematics and lor.glived. He will be loved by his wife, fond of ornaments, good dresses and beauty. He will be liked by women, will be wealthy and learned. If Venus is in conjunction with a benefic, the native will have a lustrous body shining like gold and will own many ornaments. If Venus is associated with of aspected by a malefic or is in his sign of debilitation (Virgo), the native will be a thief and a cheat and will suffer from rheumatic and phlegmatic diseases. If the lord of the first is associated with Rahu the native will suffer from hydrocele. If Venus is in the ascendant and the fourth house is occupied by a benefic, the native will own elephants (conveyances) and enjoy high prosperity. If Venus is in his own sign (Taurus or Libra) the native will enjoy Maharaja yoga (great name, fame and wealth). If Venus is lord of the 8th, 6th or 12th.house or is weak, the native will have two wives, his fortune will be fluctuating and he will be hard hearted. If Venus is in the third house, the native will be very miser, he will be tolerant, there will be a good number of brothers and the native will have success by his determined efforts. Later on, the number of brothers will decrease. In successive order the native's brothers will have less and less of financial gains by their efforts. If the lord of the third house is strong, is in his own or in his sign of exaltation, there will be increase in the number of brothers. If the lord of the third house is in the 6th, 8th or 12th house or he is associated with malefics there will be loss of brothers. If Venus is in the fourth house, the native will be handsome, intelligent, will have happiness from brothers, will be happy and of forgivable nature. In his 30th year he will possess conveyances pulled by horses. He will also have abundance of milk. If the lord of the fourth house is strong the native will possess horses, palanquins and gold etc. If the lord of the fourth house, is associated with a malefic, is in the house of a malefic or his enemy or is debilitated or is otherwise weak, the native will be without lands or conveyances. His mother will be in distress and he will have illicit relations with women other than his wife. The native will be full of wisdom and will be a minister or commander of the army. He will have the good luck of seeing his grand mother alive, will have a young wife and also children. He will be respected and honoured by Government, will be a clever minister and his wife will be full of happiness. If Venus is associated with a malefic or is in the house of a malefic or in his sign of debilitation, the native will be dull headed and will remain in want of children. If Venus is associated with a benefic or is in his own sign or in his sign of exaltation the native will be very wise, will be versed in worldly affairs and will have children and conveyances. If Venus is in the sixth house, the native will have good number of relations, there will be destruction of enemies and the native will have children and grand children. He will incur wasteful expenditure, will be deceitful and will suffer from diseases. If the lord of the sixth house is strong there will be increase in the number of relations and enemies. If the lord of the sixth is associated with a malefic or is in his sign of debilitation or is associated with Moon, there will be loss of relations and destruction of enemies. If Venus is in the seventh house, the native will be fond of kissing on the mouth and will be highly sexed. He will be wealthy and will take interest in women other than his wife. He will possess conveyances, will be efficient in his work, will play foul with women and will have a family consisting of brothers and wife etc. If Venus is associated with a malefic or is in the house of a malefic or in his sign of debilitation (Virgo) there will be loss of his wife but he will marry again. If there are many malefics with Venus, the native will have to marry many times on account of successive loss of his wives. In this situation the native will have no children. If Venus is associated with a benefic or in his own or in his sign of exaltation (Pisces) the native will become very wealthy on account of gift of wealth by his in-laws. He will be very influential with the help of his wife and will be surrounded by women. The native will be happy. His mother will suffer from a throat trouble in his fourth year. He will have less than medium span of life and will be sickly. He will have a devoted wife but he will be discontented. If Venus is in the house of a benefic, (or associated with a benefic) the native will enjoy full span of life. If Venus is associated with (or aspected by) a malefic, the native will be short lived. If Venus is in the tenth house, the native will be full of glory. If Venus is associated with (or aspected by) a malefic, the native will have difficulties and obstacles in his undertakings. If Venus is associated with Mercury, Jupiter and 96 Moon, the effects will be as under:- (a) The native will enjoy the comfort of many conveyances. (b) He will perform religious ceremonies of many kinds. (c) He will enjoy world wide reputation. (d) He will enjoy many Raja yogas (that is, he will be wealthy, honoured and famous). (e) He will be very fortunate and talkative. 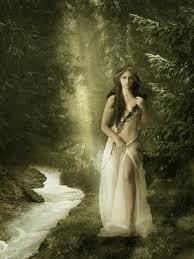 If Venus is in the eleventh house, the native will be learned, very wealthy, owner of lands and kind hearted. If Venus is associated with (or aspected by) a benefic the native will enjoy the comforts of many conveyances. If Venus is in conjunction with a malefic, the gain of wealth will be through questionable means. If Venus is associated with a benefic the financial gains will be through rightful means. If Venus is in his sign of debilitation or is associated with a malefic or the lord of 8th, 6th or 12th there will be no financial gains. If Venus is in the twelfth house, the native will face exterme poverty. If Venus is associated with a malefic the native will be inclined towards sexual indulgences. If Venus is associated with a benefic the native will be very wealthy, will have all comforts of bed (sexual pleasures) and will go to heaven after death. He will go to hell if Venus is associated with a malefic. Thanks for sharing this such a great article on Vastu, Really these are very good thoughts.